Comfortable, trendy and modern! 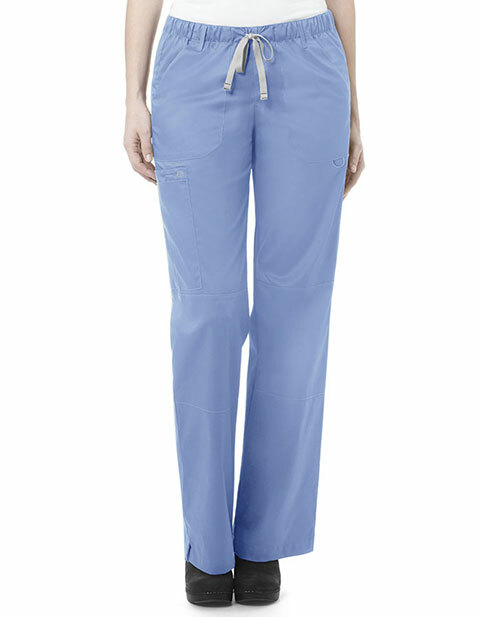 WonderWink women's straight leg petite cargo pant is a workwear essential. 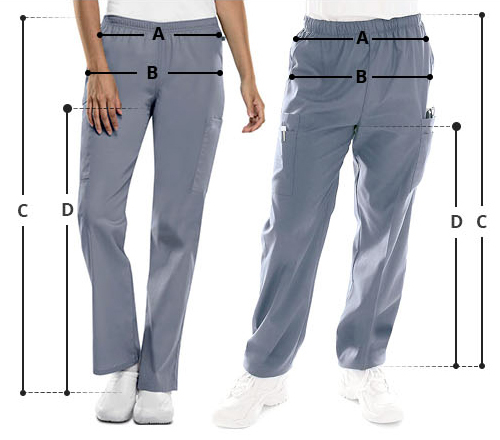 It features a full elastic waist with full adjustable drawstring for a custom fit while two front roomy slash pockets add functionality to the garment. Front rise sits slightly below the natural waist with the back rise being a bit higher for optimum coverage. Moreover, a utility loop, one bungee loop, vented bottom and five belt loops at the waist make it a steal for the price.